Earlier this week, US President Donald Trump announced that Washington has designated Iran’s Islamic Revolutionary Guard Corps (IRGC) as a terrorist organisation, prompting Tehran to retaliate by declaring the US CENTCOM and related forces a terrorist group. 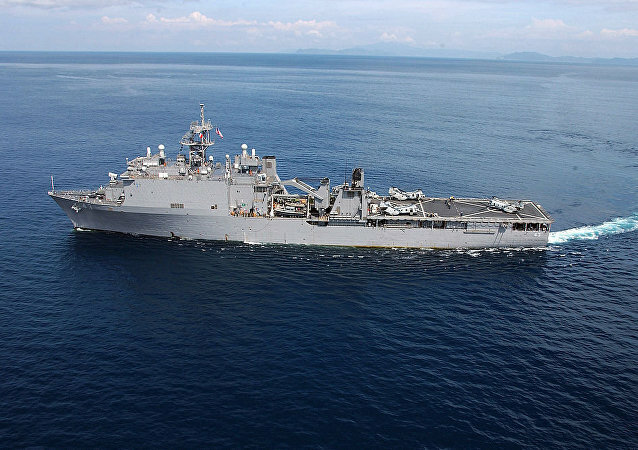 Two more sailors on the USS Fort McHenry have come down with viral parotitis, an infection with symptoms similar to mumps, bringing the total number of sailors infected to 27, the US Navy told Business Insider in a statement. 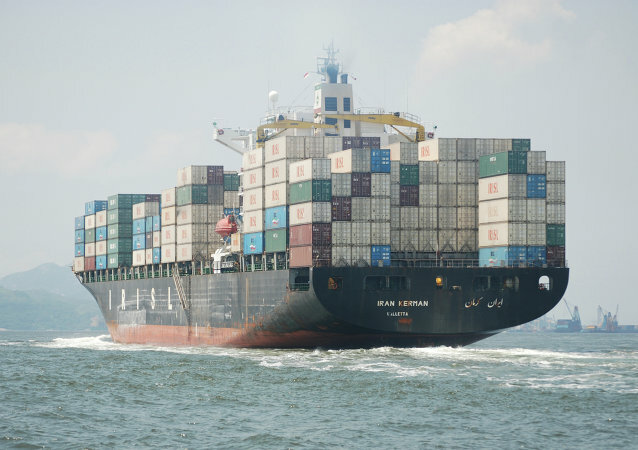 Director General of Ports and Maritime of Hormozgan Allah-Morad Afifipou stated that the capsizing of the vessel could be the result of a lack of coordination between the crew and the loading/unloading contractor. 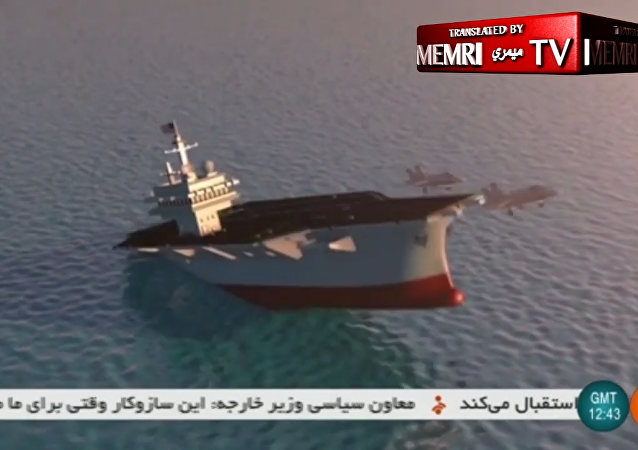 Iran aired the computer-generated clip on 1 February – just two months after the US deployed a carrier strike group in the Persian Gulf amid Iranian threats to close the Strait of Hormuz in retaliation for sanctions. 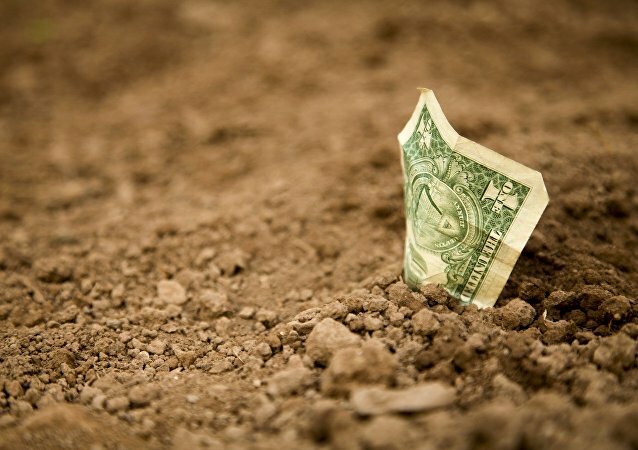 The development comes following years of speculation that Israel has been maintaining secret contacts with Persian Gulf States despite the fact that none of them recognise the Jewish state's right to exist or have official diplomatic relations with Tel Aviv. Four islands, located near the Strait of Hormuz, have been the subject of a territorial dispute since Iran claimed them in the 1970s. 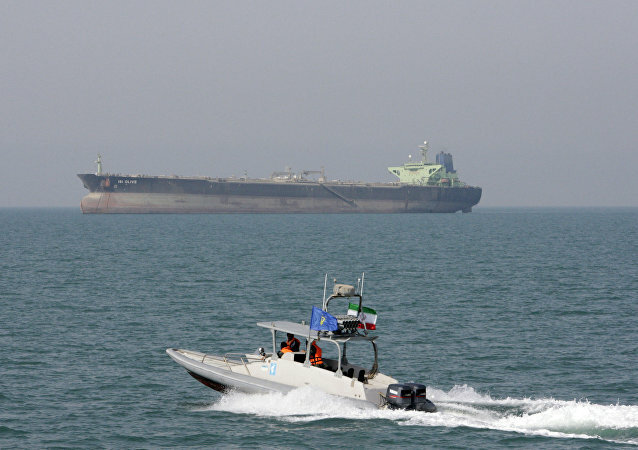 The strait itself is of significant strategic importance to regional oil exporters, with Tehran threatening to close the waterway in response to US sanctions. US Secretary of State Mike Pompeo is meeting with Saudi Arabia’s King Salman as part of his official trip to the Middle East. The meeting comes as Mr Pompeo announced that he had signed a memorandum of understanding with Qatar that stipulates the expansion and renovation of al-Udeid Air Base, which hosts thousands of US military personnel. Earlier, a commander of the Islamic Revolutionary Guards Corps (IRGC) labeled the US decision to send the USS John C. Stennis carrier strike group to the Persian Gulf as "deceiving" regional states by creating a false sense of security for its allies. The USS John C. Stennis carrier strike group arrived in the Persian Gulf on 21 December, ending a period of absence by US forces in the area, which lasted since at least 2001. 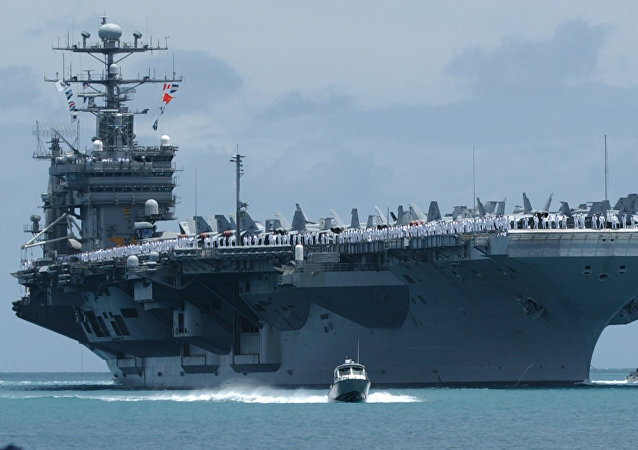 On its way the US carrier was shadowed by Iranian Revolutionary Guard ships, which, according to some reports, test fired rockets, although away from US carrier. 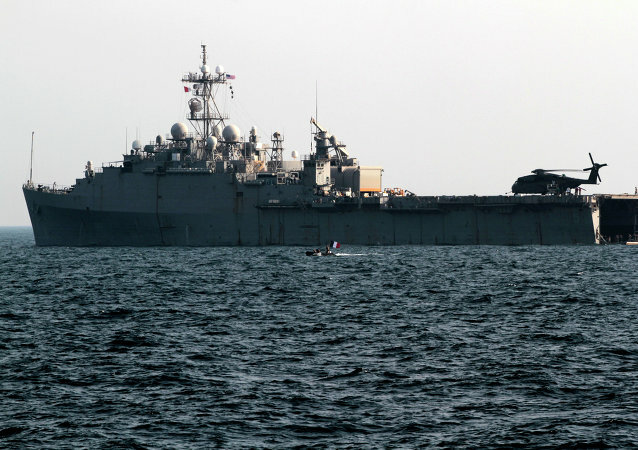 A US aircraft carrier sailed into the Persian Gulf on Friday amid Iranian threats to close the Strait of Hormuz, the only sea passage from the Gulf to the open ocean and strategic waterway linking Middle East crude producers to crucial world markets. Slightly over a month ago, British Defence Secretary Gavin Williamson announced that a new training base would open in Oman in order to boost the UK’s clout in the region after Brexit is delivered. 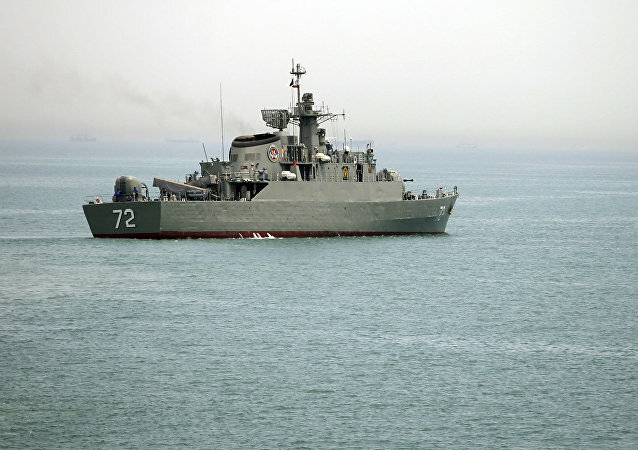 Hassan Rouhani's threat to close the Strait of Hormuz was meant to show defiance and counter-intimidation against Washington's sabre-rattling, Ghassan Kadi, a political analyst told Sputnik, emphasising Iran's unique geographical position that allows it to maintain control over the Persian Gulf. The US and Iran may find themselves in a hot conflict if Tehran delivers on its promise to close the Strait of Hormuz, Philip Giraldi, a former counter-terrorism specialist and military intelligence officer at the CIA, told Sputnik, explaining why tensions are likely to escalate even further by May 2019. The fate of the proposed alliance was put into question in recent months after the death of Jamal Khashoggi, a Washington Post journalist who was killed in the Saudi consulate in Istanbul in early October. Tehran earlier warned Washington against limiting its energy exports, vowing to otherwise close the exit from the Persian Gulf. Considering that a significant part of the world's oil exports goes through the strait at the Gulf's mouth, such a blockade could strongly affect the global energy market. President Donald Trump's administration has repeatedly stressed that Washington seeks to cut Iran's oil exports to zero in a bid to curb Tehran's nuclear programme and regional influence. Shortly after Iran unveiled a new destroyer, which is believed to have radar-evading stealth properties, electronic capabilities and a flight deck for helicopters, the US accused Tehran of conducting a ballistic missile test in violation of the UN Security Council's resolution as tensions between the two countries soar. The visit of Israeli Transportation and Intelligence Minister Yisrael Katz to Oman earlier this week has signaled a change of policy in the region, observers say.